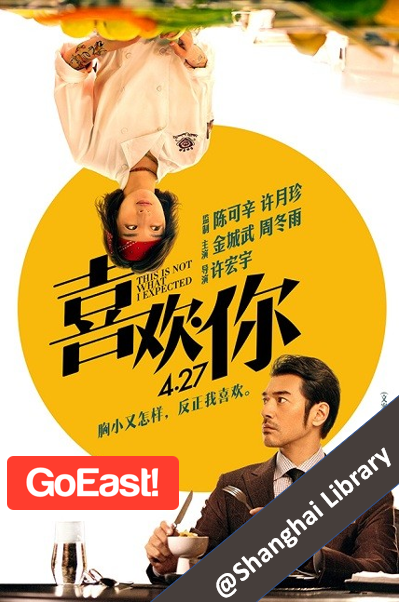 A special post-Valentine's Day edition of GoEast's monthly movie night, simulcast at both GoEast's campuses in Wujiaochang (Yangpu) and the former French Concession (Xuhui). Come watch this quirky foodie romantic comedy from 2017 called 喜欢你 (Xǐhuan Nǐ, This Is Not What I Expected). This movie was filmed nearby in the former French Concession and features one of China's most trendy actresses, 周冬雨 (Zhōu Dōng Yǔ). Have you seen her in one of her many recent advertisements?